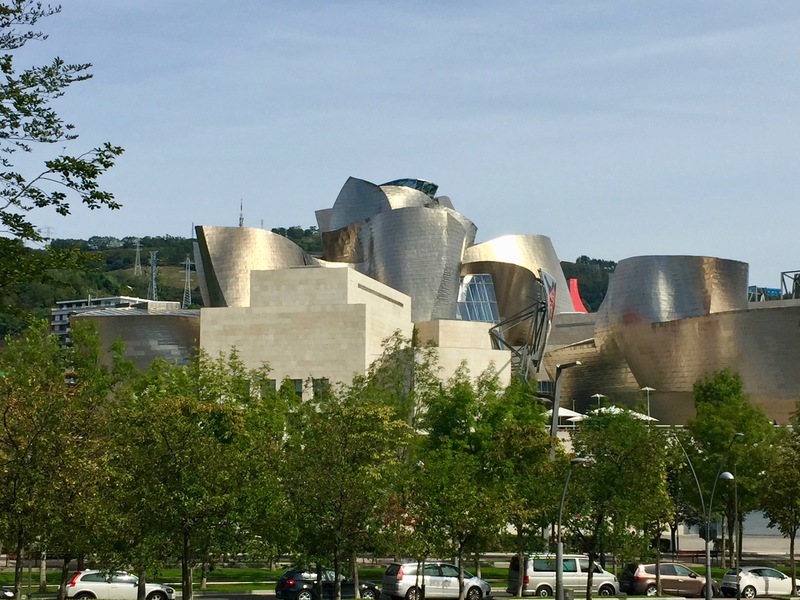 … we decided to start our exploration of Spain by spending eight days in Bilbao, and use it as a base to explore the Basque country. Of course, I did have a few qualms, and when we first got there, those qualms started to clammer to get my attention. Our friends in Portugal had warned us that not many people spoke English in Spain, and sure enough, when we arrived, it seemed as if no one in Bilbao spoke English — the taxi driver who took us to our Airbnb, the owner of the apartment we were staying in (who lived in Barcelona and who we had only communicated with by email and Google Translate), and her cousin who let us into the apartment and tried to explain how things worked. It was a disconcerting way to start. But the people we met in Bilbao were kind and willing to go out of their way to help us. The language issue, instead of being a problem, became an opportunity to experience what the Basque people were really like (trust me, this is not one of those sickly-sweet “If life hands you lemons, make lemonade” inspirational posts). One of my fondest memories is working with a clerk in a supermarket, who spoke no English, to figure out if a coffee cartridge would fit our coffee maker, and when gestures and charades didn’t quite work, she left me for a moment and found a customer she knew who spoke English to help us. The morning after we got to Bilbao, since the Guggenheim was the only place on our list, we were marching down to it when we were (easily) distracted by the Hyperrealistic Sculpture exhibit at the Bilbao Fine Arts Museum. Since it was the last day of the exhibit, we decided that after all those years of wanting to see the Guggenheim, another few hours wouldn’t make a difference, and we went inside. 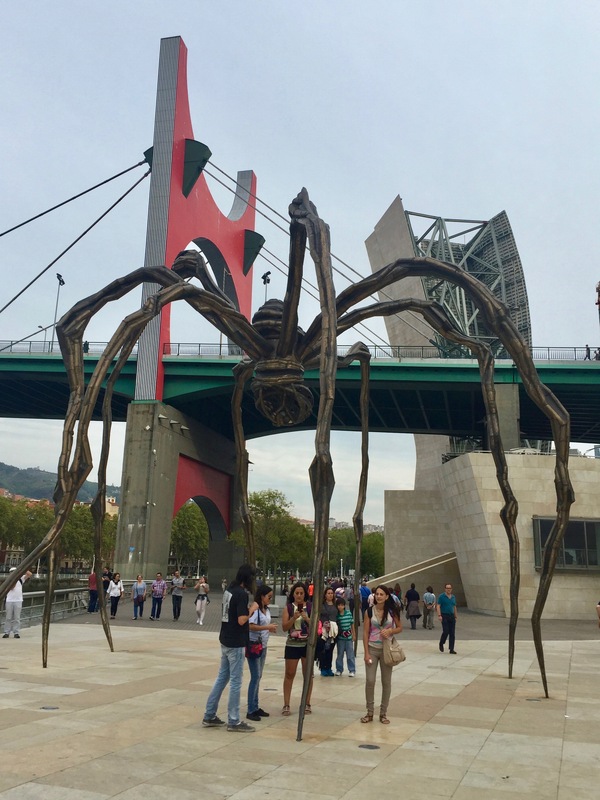 It turned out to be one of the most interesting exhibits we had seen in some time, and after two hours, left feeling pretty good about having found at least one more thing to do in Bilbao, and that our decision to “wing it” in Bilbao might turn out to have been not so bad. On we marched to the Guggenheim, and from our first glimpse, and during our first, and then second visit, there was no doubt it was well worth the trip. Frank Gehry’s building was a work of art both inside and out. But instead of the gray industrial landscape we had been expecting, we found a city of beautiful parks and a riverfront walk with public art and people hanging out in cafes enjoying the weather and the atmosphere. Conceptually it was like the scene in the Wizard of Oz when Dorothy opens the door of the sepia-toned Gale farmhouse to the lush colors of Oz. In the interviews with Serra that were part of the exhibit, he made it clear that his pieces are not just in a particular architectural, urban, or landscape setting, but are of the setting, and are about creating a dialogue with it as well as changing the spectator’s experience of it. For Serra, the spectator’s experience of an object is crucial to its meaning, and his work has both a physical and visual relationship to a viewer. As we moved around, and especially through each sculpture, it contracted and expanded — creating spaces in which we experienced not just the mass of the work, but even a kind of serenity — changing not only our perception of the sculpture but our experience of being in the environment. 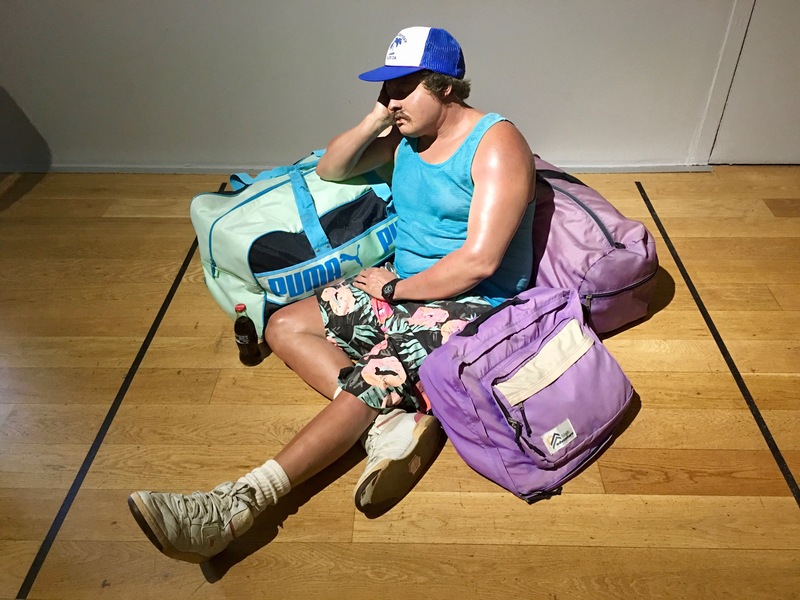 Taken as a whole though, the exhibit went beyond a single experience with a single sculpture. The works are laid out in the gallery to create both passages of space that are narrow and wide, compressed and lengthened, limited and soaring, and passages of time, as we walked through the gallery and as we thought about pieces of the experience while we were there and afterwards. 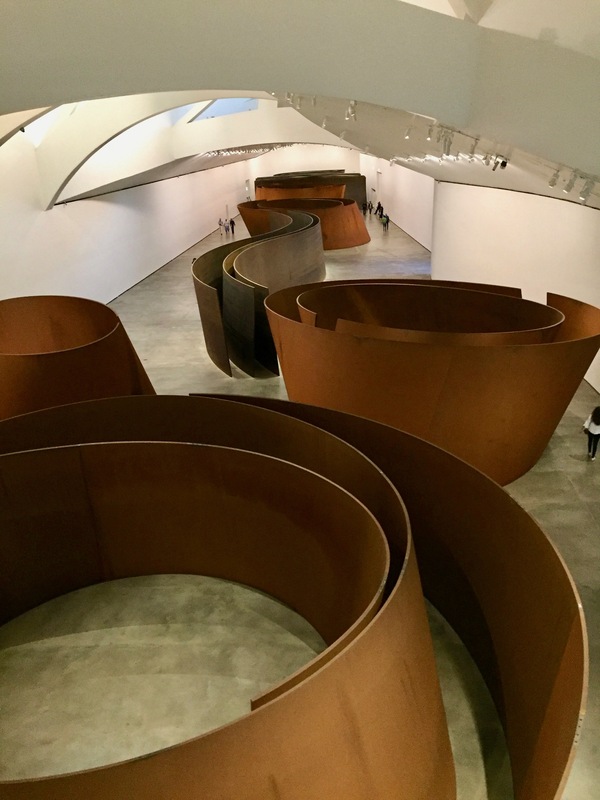 I had seen Serra’s sculptures in other places, and after I spent time experiencing and learning about this installation, I moved from more or less indifference to his work to fascination with his ideas. We did make several day trips from Bilbao. 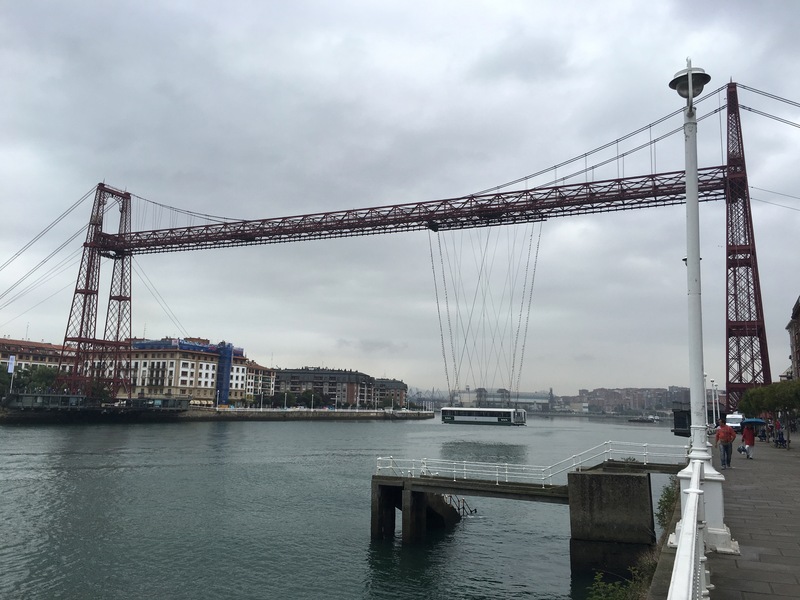 We figured out the public transportation system and took the train north to Santurtzi and Portugalete to see the suspended gondola across the Biscay Bridge, the world’s oldest transporter bridge, to Getxo. Built in 1893 it was, and still is, used to transport passengers and cargo while allowing ships to go through without disrupting the harbor traffic or having to build a massive bridge with all the accompanying access ramps. It was yet another example of the aesthetic possibilities in what people often offhandedly dismiss as simply industrial — it was a perfect combination of beauty and functionality. There was also that day long adventure to the North coast and Guernica that I wrote about in the previous post. 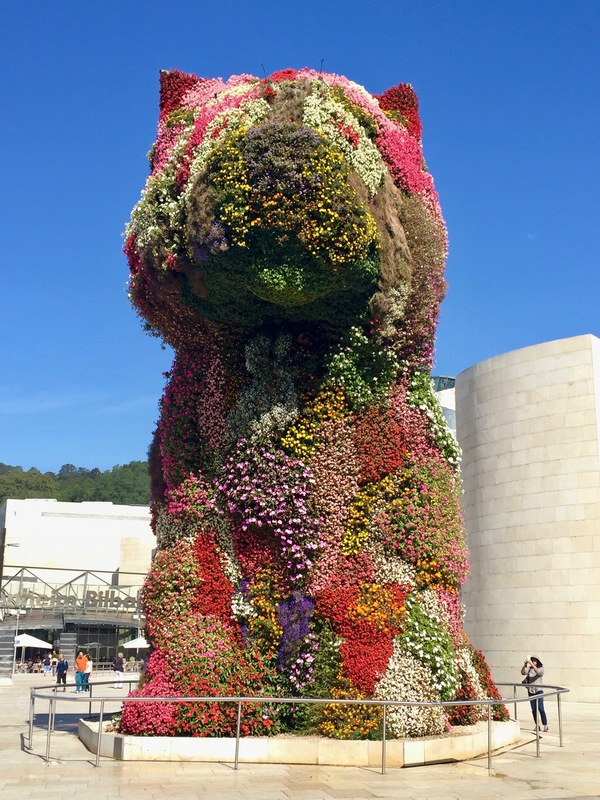 Since there was work I had to get done (it was getting to be time to actually file our tax returns), we took advantage of a couple of days of rain and finally got it all done in Bilbao. 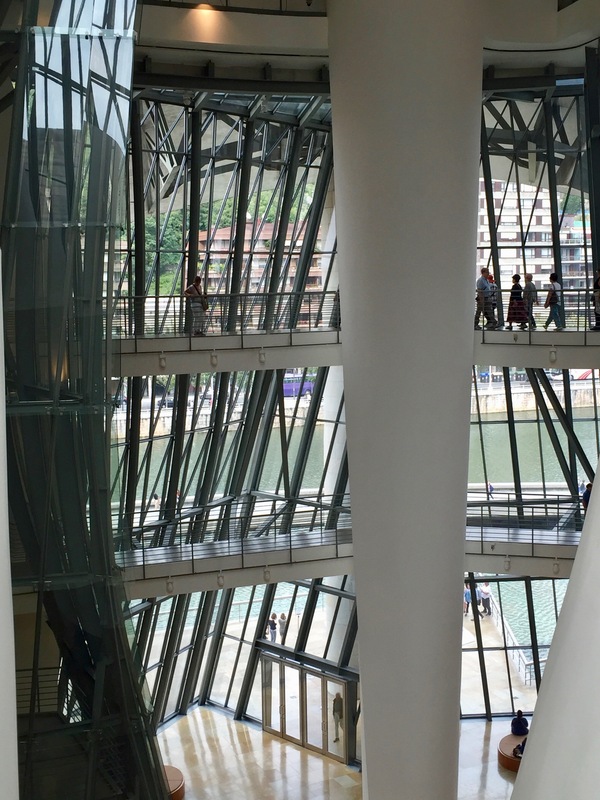 As we simply lived and worked in Bilbao, we felt ourselves folding into the daily flow of the city. We had our local market where we bought our ham, cheese, and olives, and our bakery down the street where we bought our daily bread. 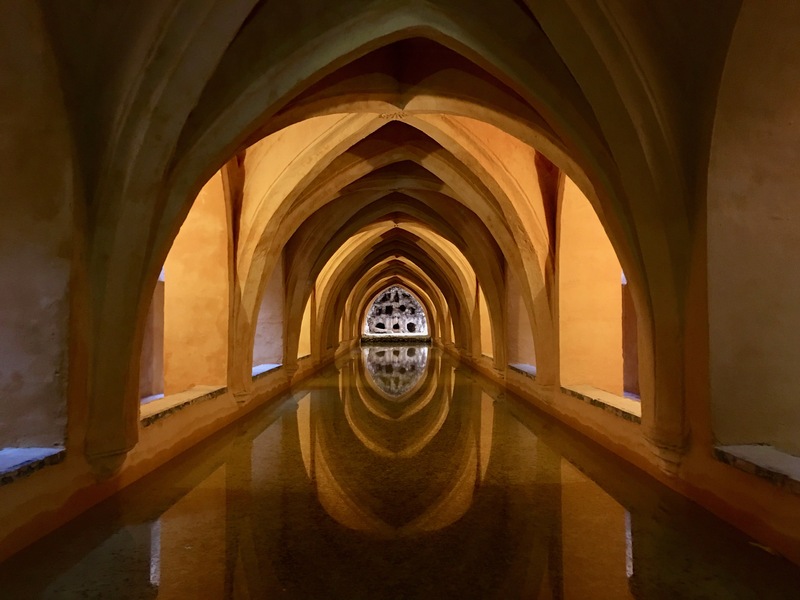 While hardly a road less traveled, we did the same kind of thing in Seville — spending nine days there seeing the sights, taking day trips, and living in a neighborhood. 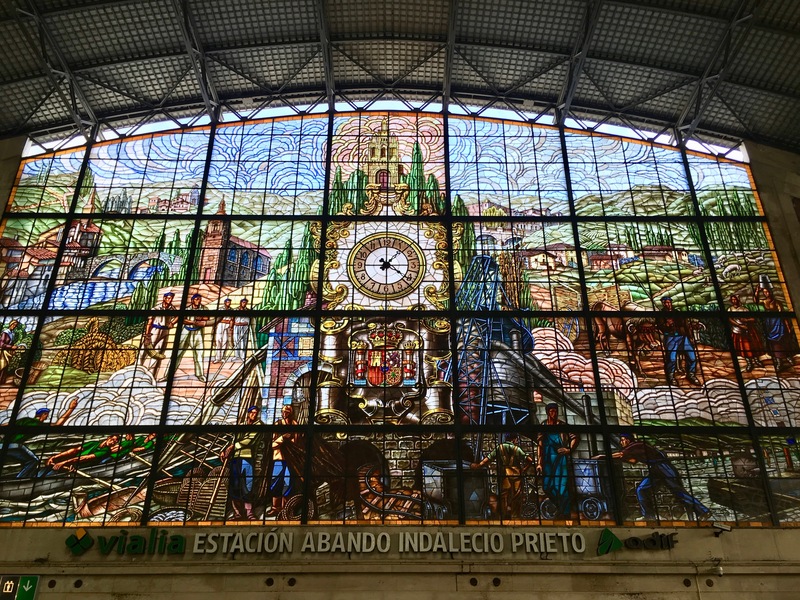 For part of the time, we did the ordinary sightseeing which that part of Spain is known for. 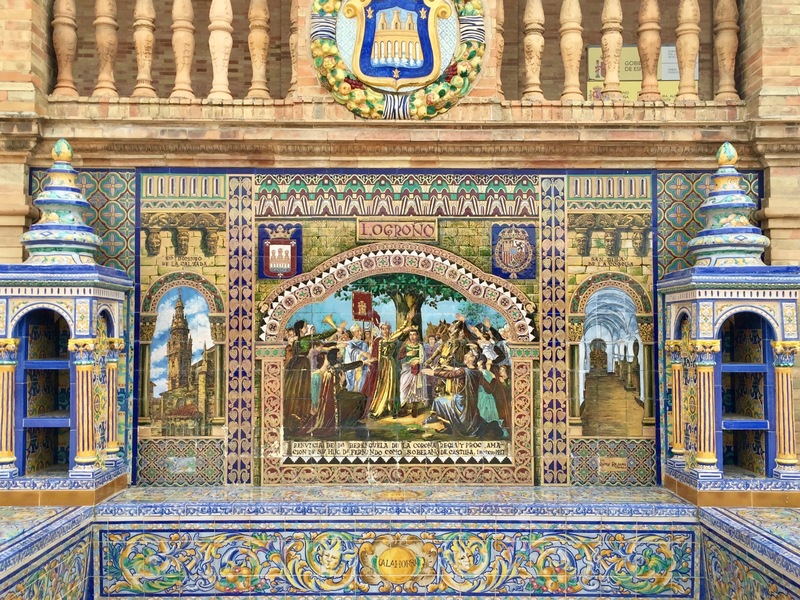 There were the beautiful examples of Moorish and Mudéjar (an architectural style that emerged in the 12th century that was a result of Muslim and Christian cultures living side by side) style buildings. 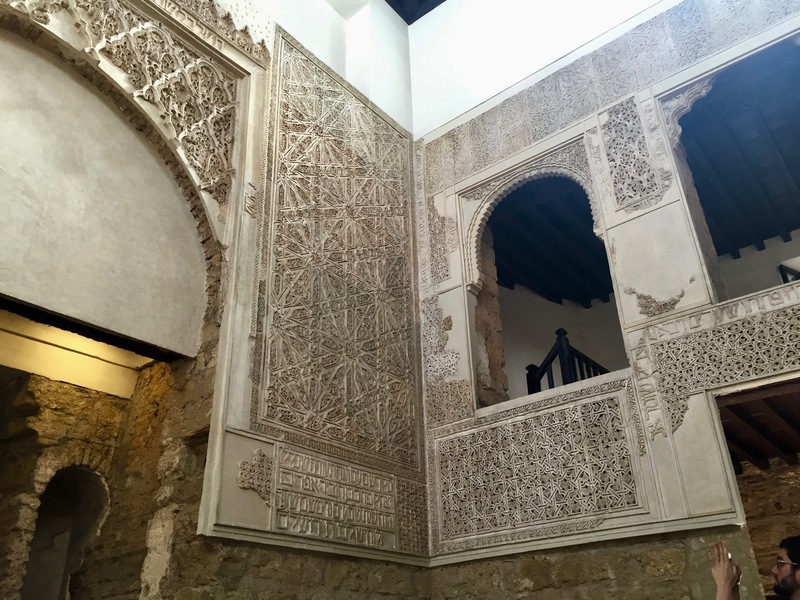 I especially liked the Real (Royal) Alcázar de Sevilla and found it more interesting (albeit not more spectacular) than the Alhambra we had seen earlier in Granada. 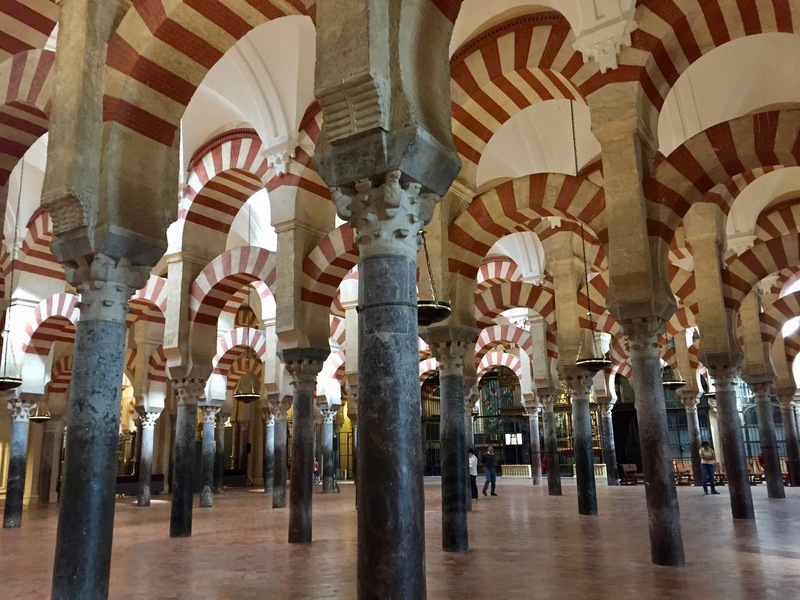 We took a day trip to see Córdoba’s great Mezquita Cathedral de Cordoba. If you ignore the throngs of people, and the 16th-century cathedral (still in use) constructed right in the middle of the mosque, you can imagine yourself in an age that in one way was more civilized than today— one where Muslims, Jews, and Christians lived side by side in a city enriched by the interactions of the diverse, vibrant cultures. 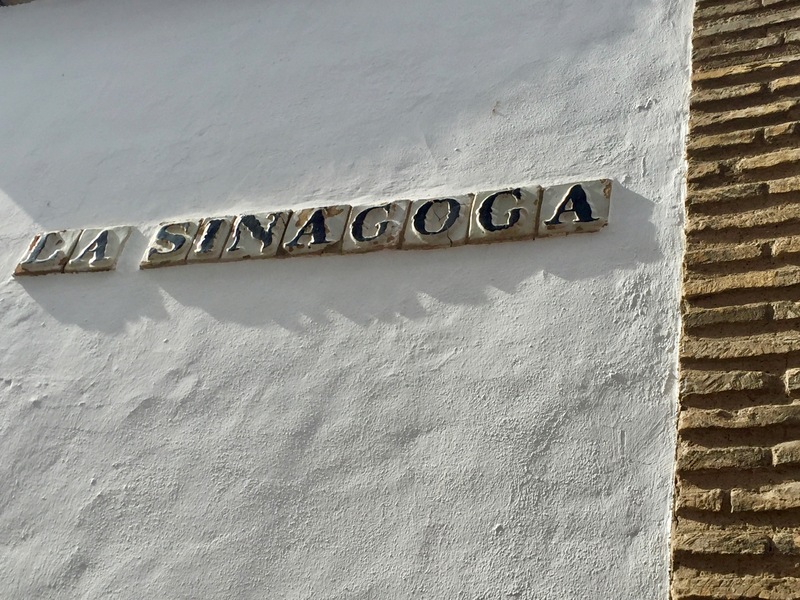 A very small and old Synagogue in Córdoba was a poignantly ironic reminder that the Jews, Muslims, and Christians lived in peace under Moorish rule until the Christians retook the Iberian Peninsula, banishing the Jews and forcing the Moors to convert to Christianity. 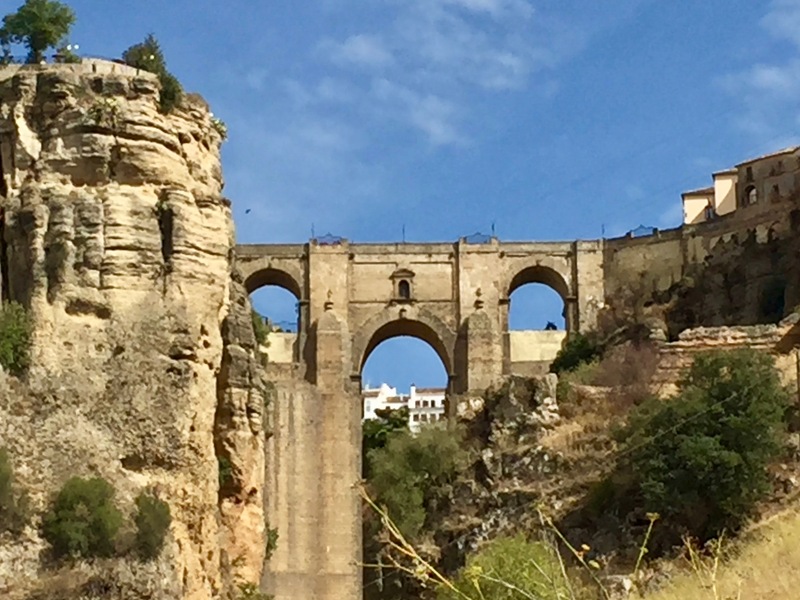 And then, of course, there was the requisite trip to Ronda and its picturesque Puente Nuevo bridge. 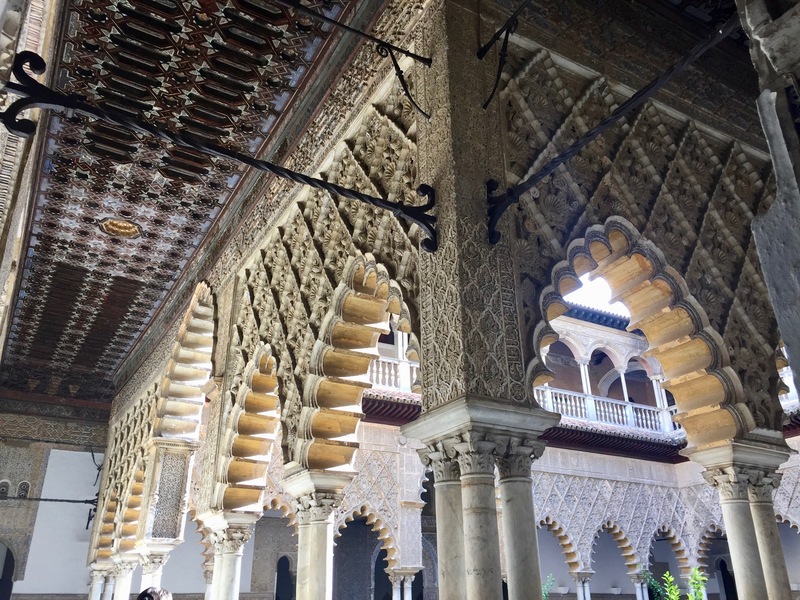 But the real highlight of our stay in Seville was simply spending time there. As we traveled, we have found sights becoming less and less important compared to the experience of just being in a place. After staying someplace for a while, it starts to feel as if we were in a new home, with no fancy dinners every night — just local markets and restaurants, and getting to know the restaurant owners and staff. 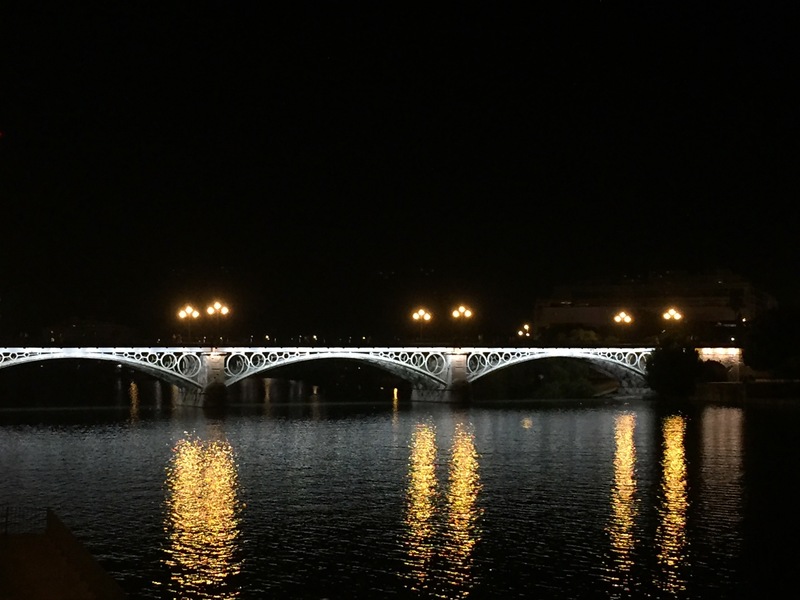 In Seville we chose to stay in an Airbnb not in the main tourist part of the city (but within walking distance), but across the river in Triana, a more residential area — a neighborhood on the west bank of the Guadalquivir River. In Seville, one of our more poignant experiences was finding a tiny store that sold twelve different kinds of olives in open barrels, and when we couldn’t decide, the sweet owner offered samples for us to try. We spent late afternoons drinking red wine and eating olives, and ended up visiting and talking with the olive lady every day. After the first few times she would smile when she saw us, and the last time we went there, after we told her we were leaving the next day, there was a trace of sadness in her face as she wished us Vaya con Dios (go with God). Brought back great memories of places we’ve visited. Loved the photos. Me too – not the photos, but still have the pleasant memories. I always treasure those temporary relationships with the coffee bar people when I travel. I advise newbies to go to the same espresso bar rather than mixing it up because of those moments of recognition and acknowledgement. They’re the best! Yep, It’s a great insight worth sharing with people. As we talk to people about doing things like this, it makes sense to everyone. Continue to really enjoy your photos and commentary, we haven’t spent much time in Spain and now it is at top of list.